This service manual describes basic functions, theory of electrical and mechanical operations, maintenance and repair procedures of the EPSON EPLC8200. This service manual consists of six chapters and Appendix. Describes the step-by-step procedures for disassembling/assembling and adjusting the product. Provides Epson-approved methods for diagnostics. Provides the step-by-step procedures for troubleshooting. 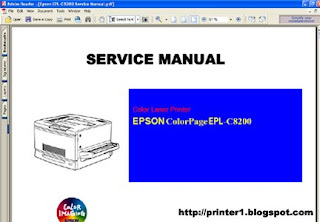 0 Response to "EPSON EPL-C8200 PRINTER SERVICE MANUAL"